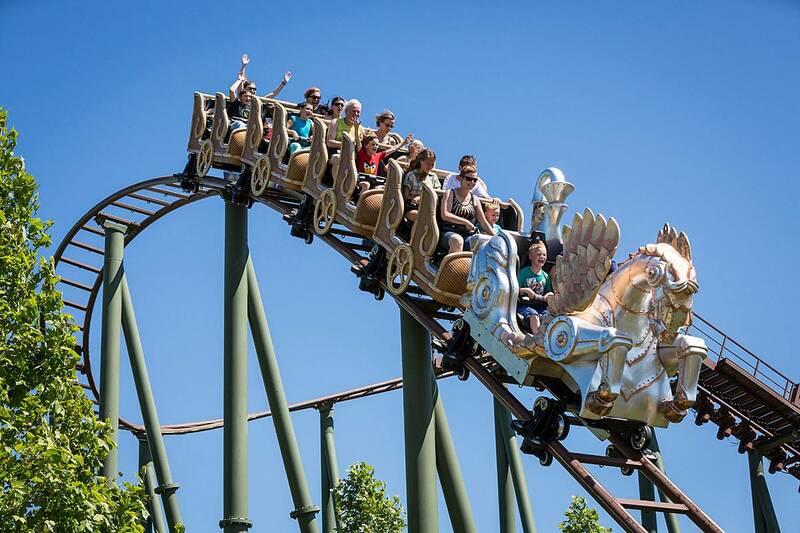 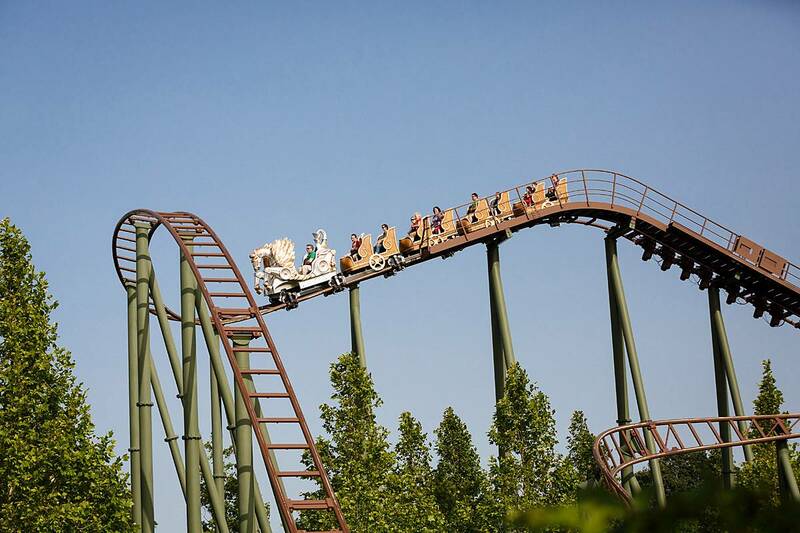 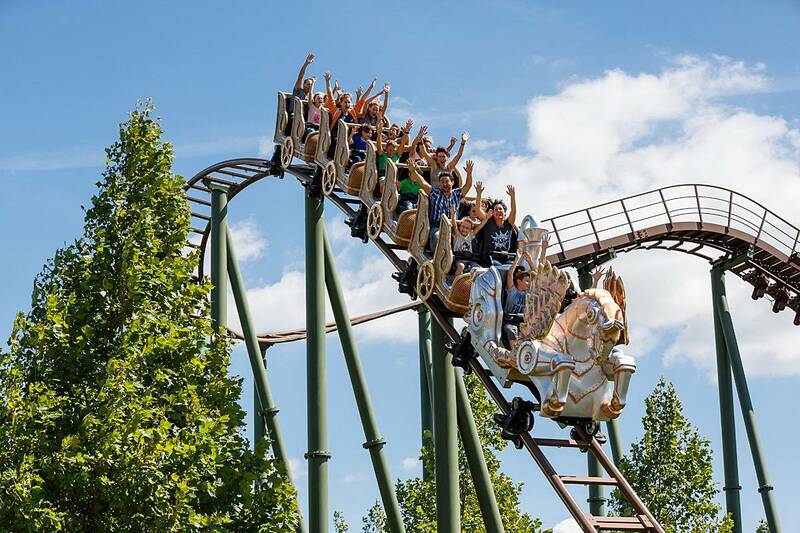 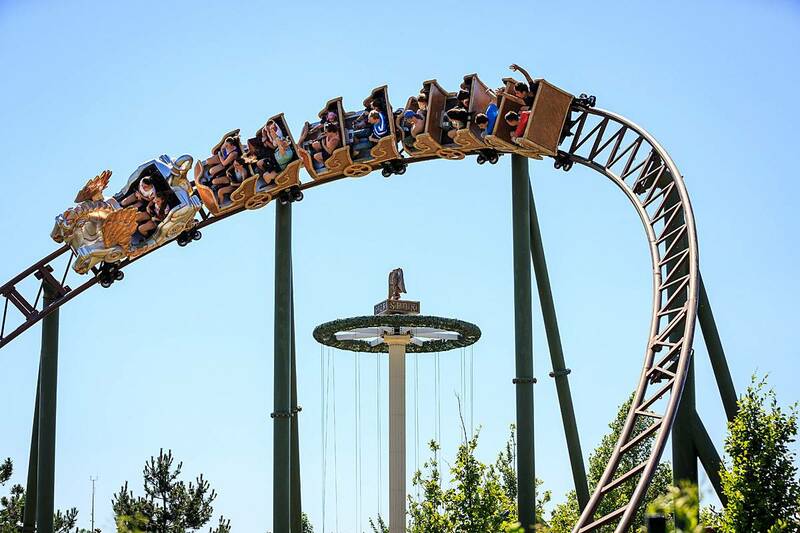 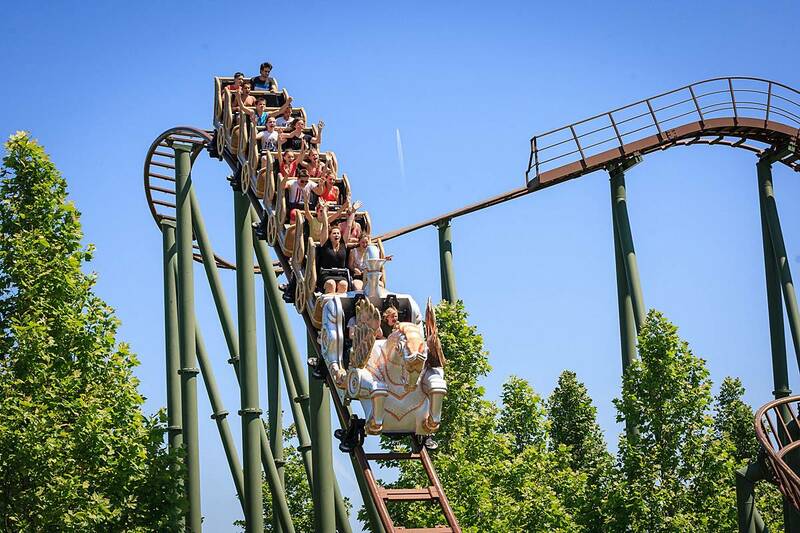 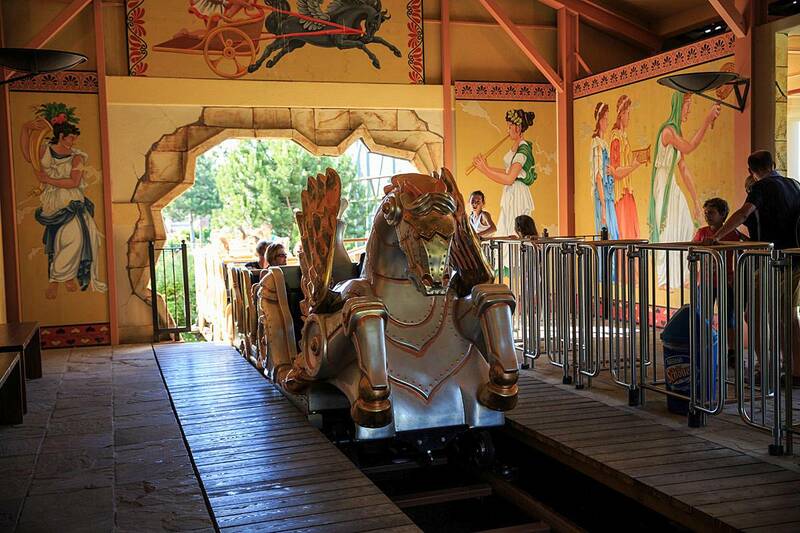 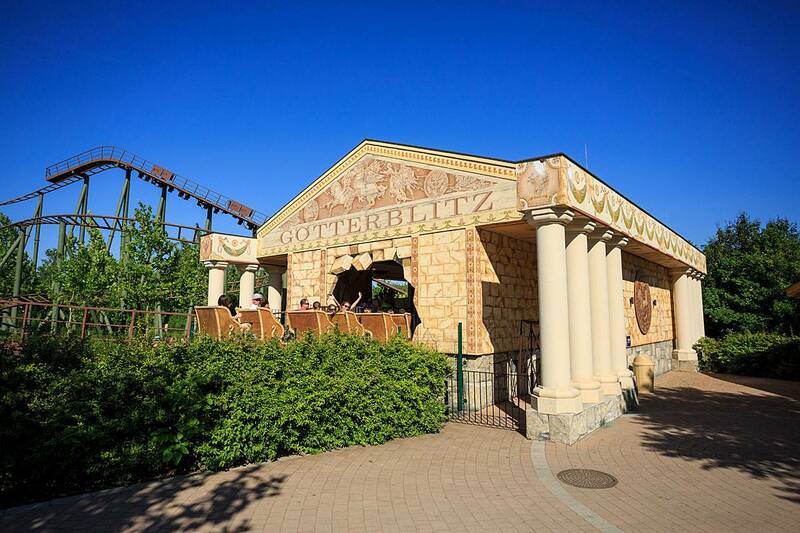 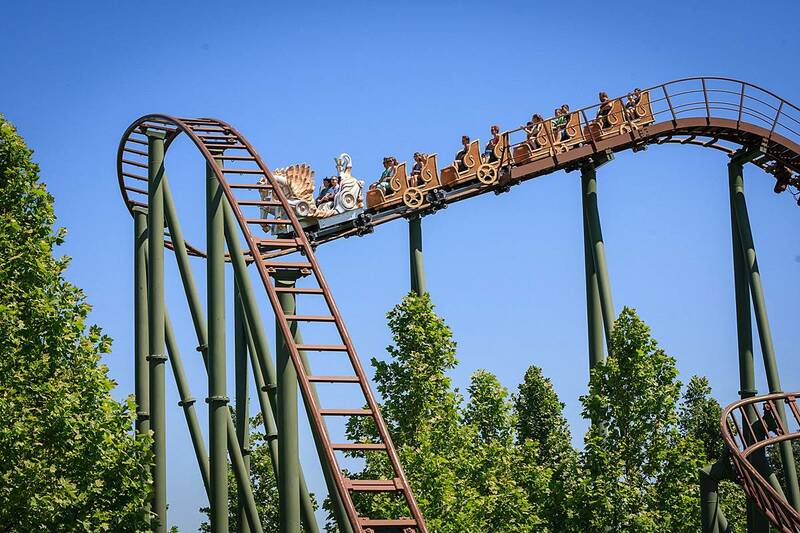 Climb aboard the shiny, silver carriages of the Götterblitz rollercoaster and take to the dizzy heights, before thundering down into the valley at high speed only seconds later! 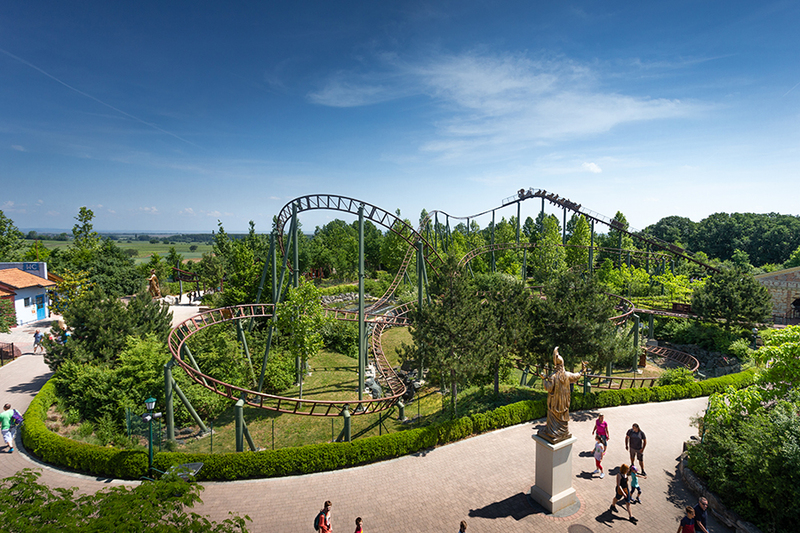 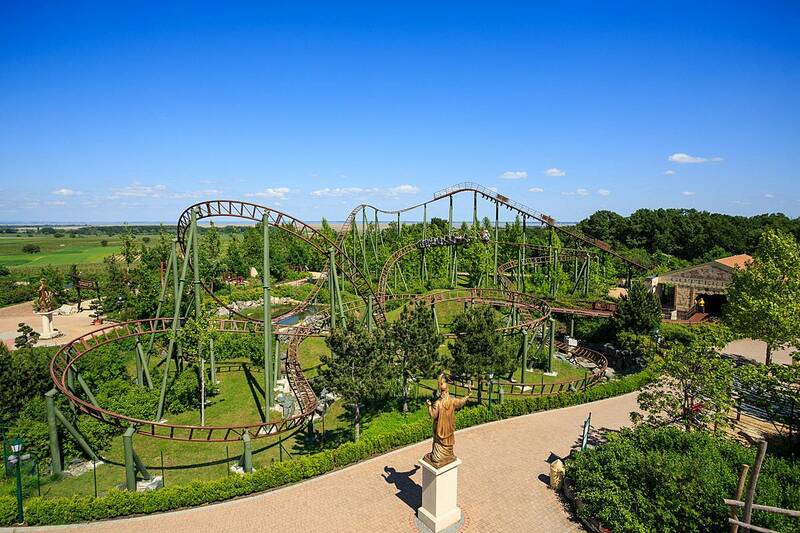 Those who dare to ride the Götterblitz will be rewarded for their efforts with breathtaking views across Lake Neusiedl before it makes its descent below. 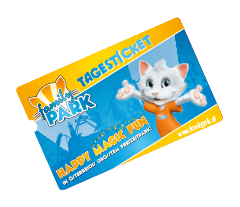 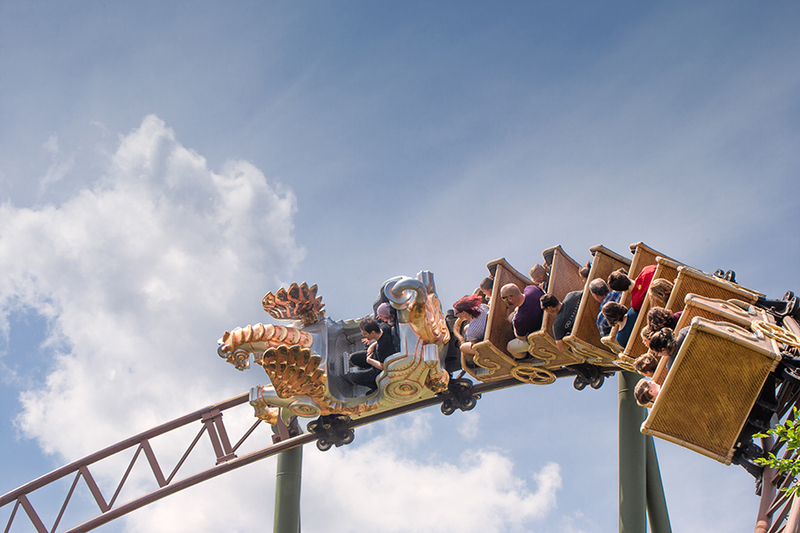 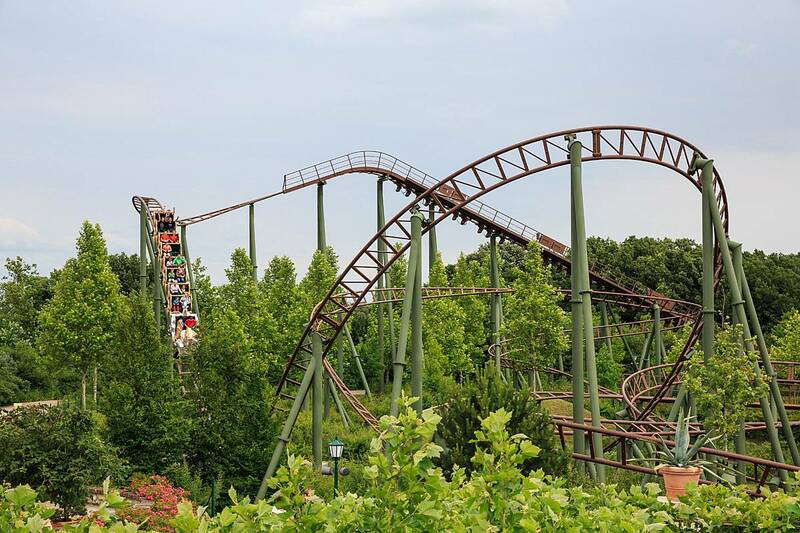 The sharp descent, numerous changes in direction and horizontal loops make a ride on the Götterblitz a must for every family park visit. 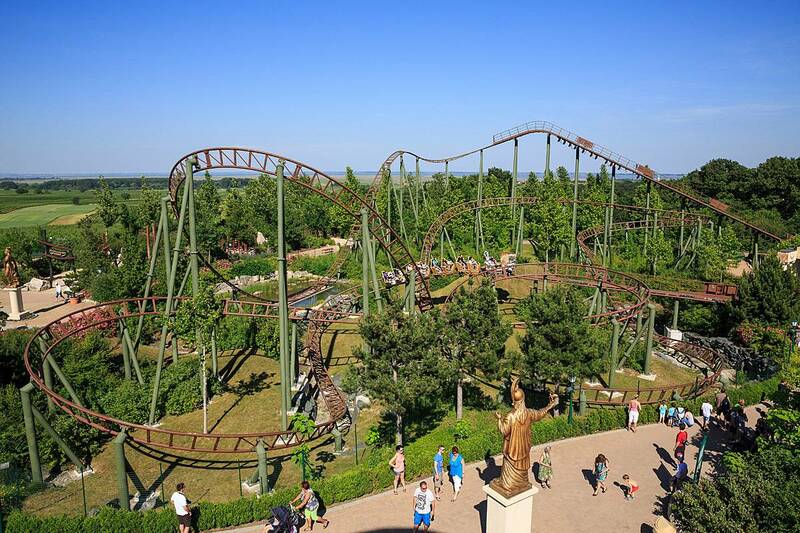 This ride is not suitable for those who are pregnant and persons suffering from heart conditions, poor circulation or back problems.